First of all...ArtFire....OMG ArtFire!! They launched a complete overaul/design change this week and there have been alot more glitches than expected so a great many thing are NOT going according to plan! They're working on issues as users tell them about them. I just want to warn you that there are also alot of broken links because of the changes they made. I'm so sorry for the aggravation! I didn't realize they were completely changing everything so I wasn't prepared. If you try to purchase or order something and you have any problems at all, please contact me and I'll take care of you. I'm working on the shopping cart for the website, but unfortunately it's not ready to go live just yet. Thank you for your patience! 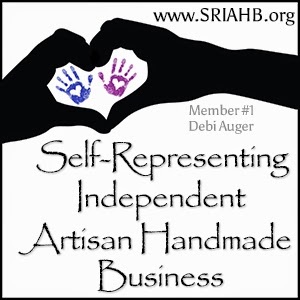 Unfortunately this mess happened right as I started another sale! I threw out a pop challenge on Facebook and thanks to the 38 people who participated, I'm doing an August Bonus Sale!! From August 7th - 31st enter the code AUGUSTBONUS20 at checkout to receive 20% off your order. Jewelry for Charity Pieces and Gift Certificates are not included in this offer. However, custom designs are AND you can use the code as often as you want until August 31st. So if you missed out on the last sale, you've got another chance to save big on some really special gifts for the holidays..and taking advantage of the layaway plan will help you even more! That's my hibiscus out on the deck. Niko gets me one for my birthday every year...with a little help from his grandparents :) and I just love it. 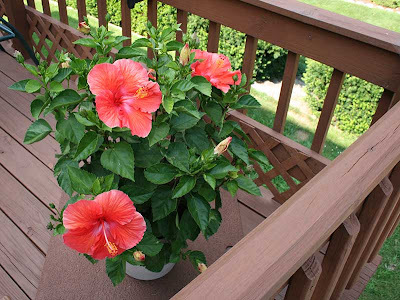 The hibiscus is my favorite flower so it's always a very special gift...one that I get to enjoy all summer...so I thought I'd share it with you! Great review, I love your post.